ROYAUME UNI – Manor Valley - A team of archaeologists working in the Scottish Borders has discovered a late Iron Age roundhouse and a range of artefacts around it. They have been working in the Manor Valley in Peeblesshire in recent weeks. The area was surveyed earlier in the year and project manager Graeme Cavers said between 20 and 30 structures had been identified. He said the number of discoveries in an area which is now virtually deserted posed interesting questions. "It's quite a busy landscape so the question for us is whether that represents a densely-populated community or whether it's an accumulation of activity," he said. One of the sites has yielded the remains of a late Iron Age roundhouse dating from a period when the Romans were in the area or just afterwards. Artefacts found at the roundhouse site include some rough pottery, typical of the period. There are also fragments of an oil-shale bracelet. It is thought it could have been fashioned locally from materials brought in from Ayrshire or West Lothian. VIET NAM – Kim Lan - Vietnam has about 120 museums of provinces and sectors but only one commune museum. It is the Kim Lan Archaeological Museum of Kim Lan Commune, Gia Lam District, Hanoi. The museum has more than 300 artifacts, such as ancient coins, pottery and terracotta items, household ceramics... annotated by three languages – Vietnamese, Japanese and English. 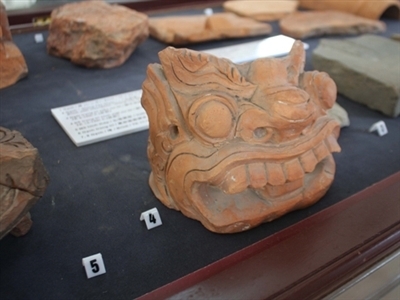 The artifacts are mostly ceramic products made by the local people from the seventh century to the eighteenth century, showing part of the history of Vietnam in general and of the Kim Lan pottery village in particular. A retired teacher – Mr. Nguyen Van Nhung – is one of the five members of the group "Find the Roots" who have been tirelessly searching for ancient pottery pieces along the Red River to contribute to the museum. TURQUIE – Yoros Castle - Excavations in Istanbul’s only Byzantine castle, Yoros, will come to a close at the end of this month. During excavations this year some 80 artifacts have been unearthed. The Yoros Castle, which is located in the city’s Anadolukavağı neighborhood and whose date of construction is not known exactly, has been hosting excavation teams of the Istanbul University since 2010. Among this year’s artifacts are a bronze pestle, mazarine, tile, pellet, measuring glass, Venetian glasses, perfume bottles, coins, Tophane pipe bowls and many others. The oldest of these artifacts dates back to the Beyazıt I period and the newest one is from the first years of the Republic. Also, for the first time this year, women’s pipe bowls and Greek coins were found. 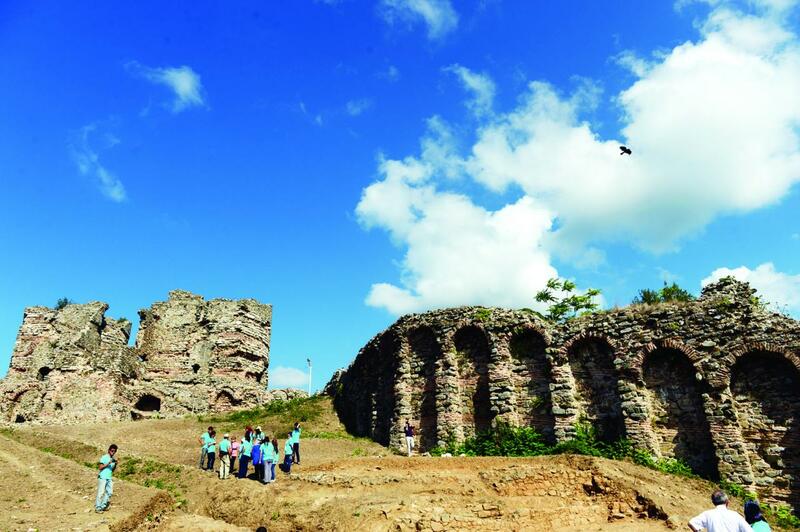 TURQUIE – Hatay - Researchers and local officials are hailing the discovery of a Roman-era amphitheater in the southern province of Hatay’s Erzin district. “There is an Ephesus-style ancient city here. 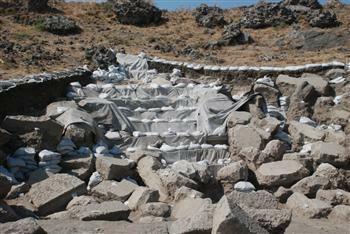 It will be revealed and this place will become a center of tourism,” said Erzin District Gov. İskender Yönden. “We plan to turn this area into an open-air museum.” The Roman amphitheater was found during works carried out on a hill. So far, researchers have revealed the facility’s seats, while work is ongoing to unearth the theater stage. The excavation area was located at the site of a great battle between Alexander the Great and Persian King Darius. 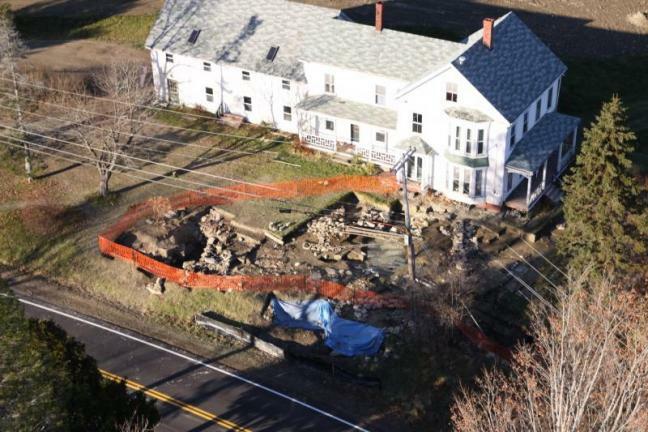 USA – Fort Richmond - Archaeologists are trying to learn as much as they can about Fort Richmond, located in Richmond, near Augusta, before the site is lost to the construction of a new bridge across the Kennebec River. A pre-Revolutionary War military garrison was first built on the site in 1721 to protect early settlers from Indian raids and a much larger fort was built over the first fort in 1740. Information about Fort Richmond remained a mystery until 2011, when an extensive archaeological dig began to unearth artifacts and the structure of the fort. Since work began, walkways, walls, chimney bases, cellars and a cistern have been found. 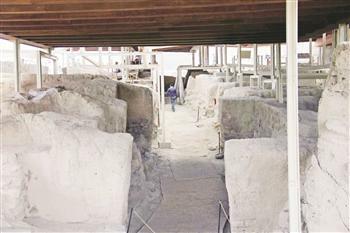 TURQUIE – Aslantepe - Excavations have begun at the 5,000 year-old Aslantepe Tumulus, located in the eastern province of Malatya. The head of the excavations, Professor Marcella Frangipane from the University of Rome La Sapienze, said the works were ongoing with a team of 20 people in the Orduzu district. “Last year, we found a very good building in the south of the ancient site. This building dates back to the Old Bronze Age from 2,200 B.C. This building is on the top of the hill. It shows that Aslantepe was an important center. Hopefully we will completely reveal this building this year. Here there is also a wall. The building is below this wall. At the moment, we are removing this wall. We have found two small copper cups in the base of the building. They are currently in the Malatya Archaeology Museum,” Fringipane said. She also said they had found a king’s tomb at the ancient site a few years ago. “These findings are in the museum. There are two major systems in Aslantepe. It had connections with Mesopotamia and had the same system and culture with Mesopotamia. Then something happened in this area just like a war and this system ended and connections with Anatolia started,” Fringipane said. CANADA – Montréal - Les archéologues du Musée Pointe-à-Callière, à Montréal, ont fait une découverte majeure vendredi, en déterrant une dizaine de mystérieux objets qu’ils pensent être des livres de l’ancien Parlement uni qui se trouvait à Montréal au 19e siècle. Ces documents, que l’on croyait perdus dans un incendie qui avait ravagé l’édifice en 1849, faisaient partie d’une importante collection. «On estime que près de 25 000 documents étaient disponibles dans cette bibliothèque. Certains manuscrits datent de l’époque de la Nouvelle-France et étaient uniques», a expliqué Mme Louise Pothier, archéologue responsable du chantier des fouilles sur le site du Marché-Sainte-Anne-et-du-Parlement-du-Canada-Uni. Les documents qui sont dans un état «très consumé» ont été miraculeusement sauvegardés par le brasier. «Le carbone qui a recouvert les documents lors de l’incendie aura repoussé les bactéries qui s’attaquent habituellement au papier», a indiqué Mme Pothier. D’une grande fragilité, ces artefacts vont être envoyés au Centre de conservation du Québec afin d’évaluer la possibilité d’une restauration.